Small French battlefield cemeteries are rarer than the British ones on the Western Front as most battlefield cemeteries were concentrated into larger burial grounds in the 1920s. This small battlefield cemetery is close to the village of Chavannes les Grands in the Vosges and commemorates men from a French regiment who fought here in August 1914. Buried here are Lieutenant Paul Genairon and his comrades of the 260th Regiment of Infantry. On 13th August 1914 during the early stage of the Battle of the Frontiers this regiment fought a short but sharp action around the village. Paul Genairon was born in April 1888 and had originally entered the army in 1908. He was on the reserve in 1914 and recalled on the outbreak of war, serving with the 23rd Company of his regiment. Officially he is recorded as having died of his wounds and the regiment’s history indicates that he was killed during a nighttime counter-attack close to the village. 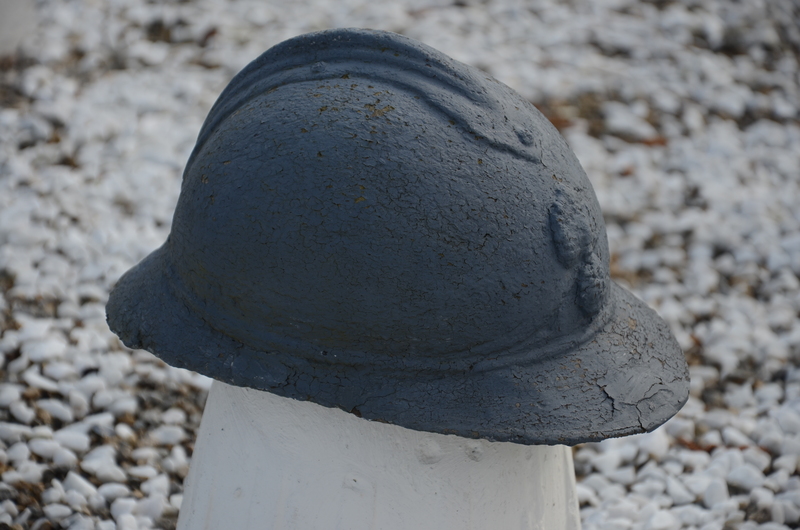 The cemetery is well looked after by the locals who have installed two small Poilu helmet memorials in the cemetery; although these were not yet worn in the battles of 1914 they are unusual in a cemetery.